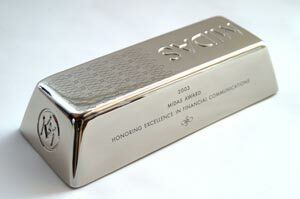 Investment specialists and financial experts recently gathered for the World Gold Report , where many spoke about the virtues of silver, claiming that it could potentially rival gold as the main commodity of 2011. Although much focus is on the explosive impact of gold on the world’s commodities and investment markets, investors are being reminded about the strength of silver, which could prove to be a strong competitor against gold. At the moment the price of silver has gone up to £43.24 per ounce, which is the highest price since 1980. Despite these positive increases, it should be noted that silver still brings risks. Silver can often offer a better opportunity relative to gold however investors should express a degree of caution as silver can also be more volatile. For example, if there is a downturn in precious metals, silver’s fall will have more impact than gold’s.